Next to La Fiesta Ocean Inn & Suites. 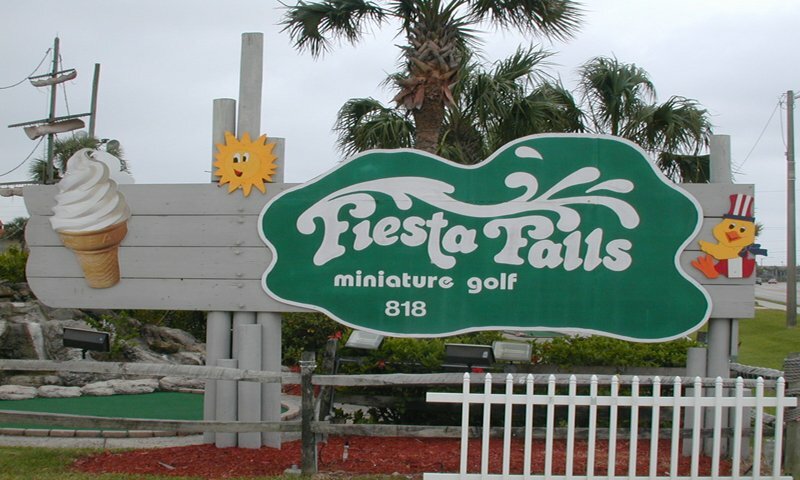 Fiesta Falls Mini Golf is located next to La Fiesta Ocean Inn & Suites on beautiful St. Augustine Beach. 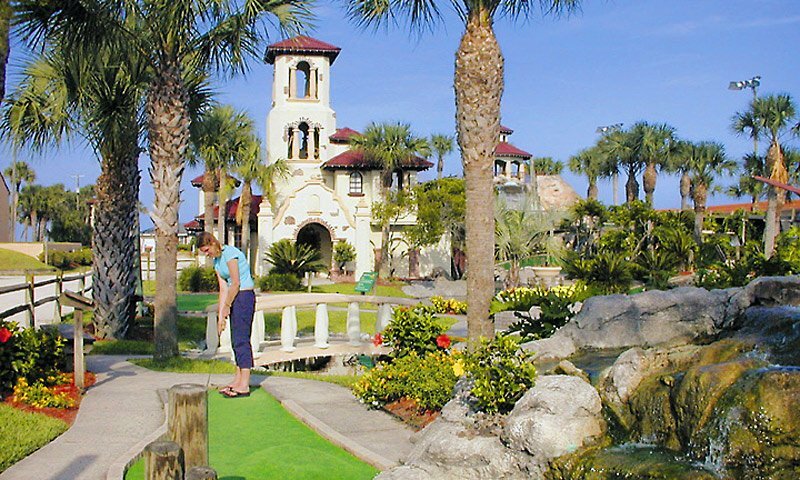 This miniature golf course consists of 18 holes, with the average game lasting between 45 minutes to an hour. The course boasts eight waterfalls and a 65-foot ship that guests can play through. Fiesta Falls Mini Golf's gazebo, situated right at the peak of the course, offers a breathtaking view of the Atlantic Ocean. 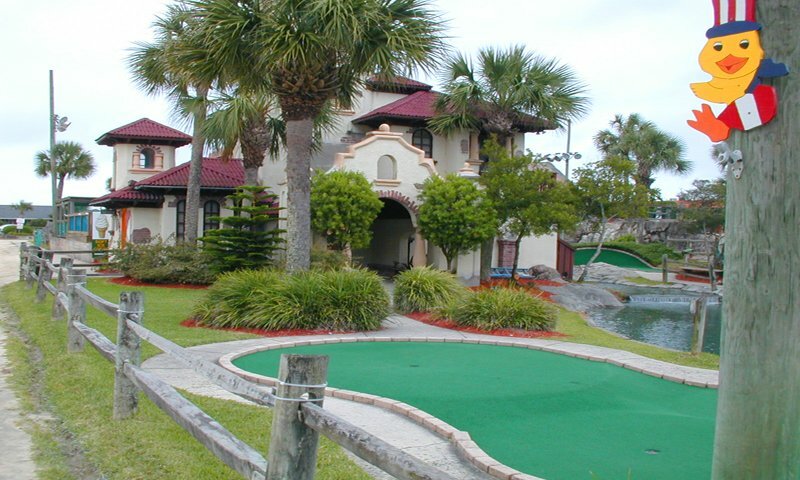 Fiesta Falls offers a more challenging lighted course at night, as well as two private locations that are ideal for birthday parties or any special occasion. One of these sites overlooks the ocean and golf course and the other is located on the grounds. Both of these private areas are free with the purchase of a golf game. Tickets are $8.99 for adults and $7.75 for children ages 3 - 12 and for seniors (61+). Children under 3 are free. Rates are subject to change. Fiesta Falls is open daily from 10 a.m. to 9 p.m., weather permitting. Please call (904) 461-5571 for more information. Interesting, well-maintained 18-hole course. Friendly staff. Fun for the whole family.